Lack of posts does not mean I have not been busy! On the contrary, I have a new publication coming out soon in the form of a book chapter. 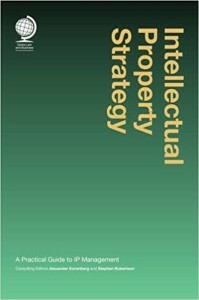 IP Strategy: A Practical Management Guide will be out for publication shortly by Globe Law & Business, in the UK. As the co-author of one of twelve chapters, we address both what strategic portfolio management aspects need considered, and how they interact with the larger business strategy of an organization. In practice IP managers and CIPOs oversee a process that addresses the critical aspects of IP management: ensuring the IP is codified and secured as legal rights where possible; decisions on types of IP asset protection from the numerous risks they face; managing the assets in alignment with stated business strategy; and keeping stakeholders focused on the long-term creation of value from IP. 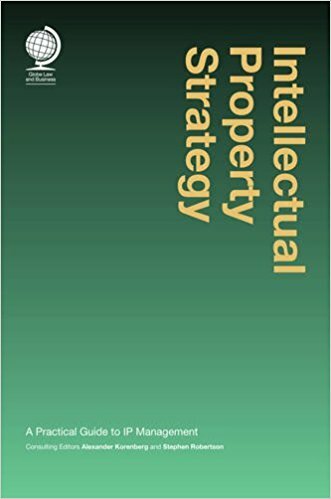 Written for the IP manager or CEO, it provides practical applications and best practices on managing the IP environment within the corporate business. While it is just as important to generate an overall IP strategy for a business to execute on, it is also critical that there is follow-through on the portfolio development, supporting processes, and IP team. As such the chapter covers the fifteen portfolio management influences within a typical organization, and how they need considered by an executive for successful portfolio alignment with the business direction. My thanks to Stephen Robertson at Metis Partners for inviting me to contribute, and my co-author Paul Kallmes for putting up with the endless rounds of edits. Does your Scale-up Reality Check Show an IP Strategy?